Corfu is the second largest of the Ionian Islands and, including its small satellite islands, forms the northwestern most part of Greece. The island is part of the Corfu regional unit, and is administered as a single municipality, which also includes the smaller islands of Ereikoussa, Mathraki and Othonoi. The principal city of the island and seat of the municipality (pop. 32,095) is also named Corfu. Corfu is home to the Ionian University. The island is bound up with the history of Greece from the beginnings of Greek mythology. Its Greek name, Kerkyra or Korkyra, is related to two powerful water symbols: Poseidon, god of the sea, and Asopos, an important Greek mainland river. According to myth, Poseidon fell in love with the beautiful nymph Korkyra, daughter of Asopus and river nymph Metope, and abducted her. Poseidon brought Korkyra to the hitherto unnamed island and, in marital bliss, offered her name to the place: Korkyra, which gradually evolved to Kerkyra (Doric). Together, they had a child they called Phaiax, after whom the inhabitants of the island were named Phaiakes, in Latin Phaeaciani. Corfu’s nickname is The island of the Phaeacians. The island’s history is full of battles and conquests. Castles punctuating strategic locations across the island are a legacy of these struggles. Two of these castles enclose its capital, which is the only city in Greece to be surrounded in such a way. 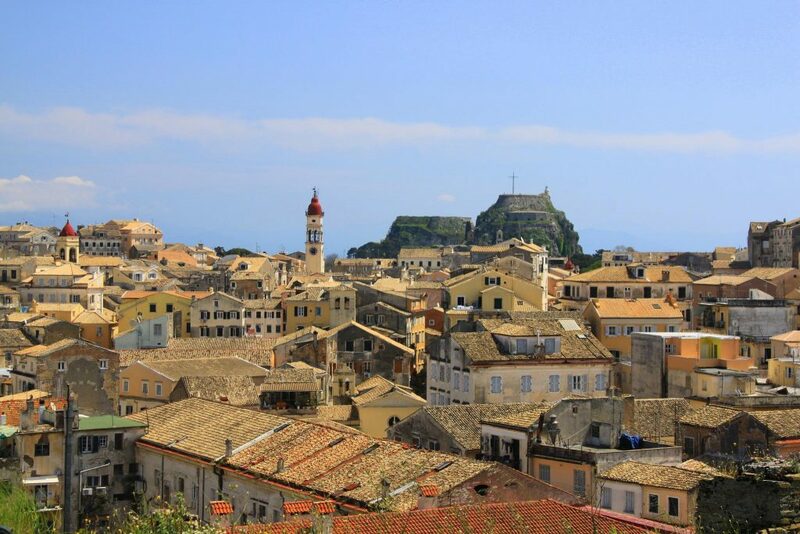 As a result, Corfu’s capital has been officially declared a Kastropolis (“castle city”) by the Greek government. From medieval times and into the 17th century, the island was recognised as a bulwark of the European States against the Ottoman Empire and became one of the most fortified places in Europe. The fortifications of the island were used by the Venetians to defend against Ottoman intrusion into the Adriatic. Corfu repulsed several Ottoman sieges, before falling under British rule following the Napoleonic Wars. Corfu was eventually ceded by the British Empire along with the remaining islands of the United States of the Ionian Islands, and unification with modern Greece was concluded in 1864 under the Treaty of London. In 2007, the city’s old quarter was added to the UNESCO World Heritage List. 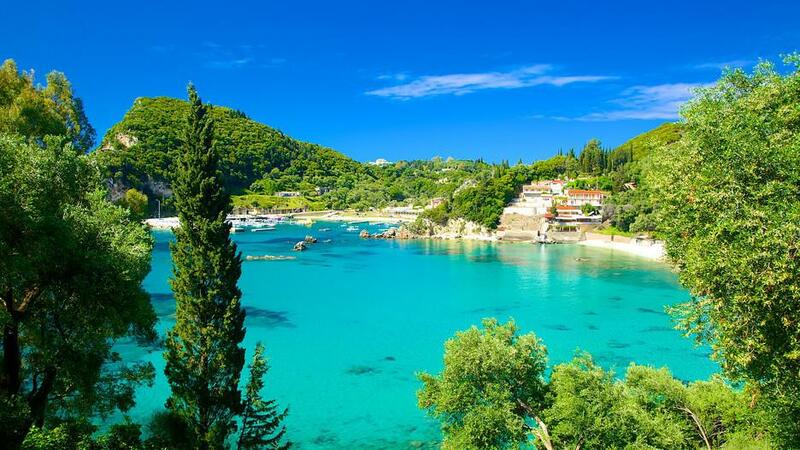 Corfu is a very popular tourist destination. Difficult to pronounce but beautiful, Paleokastritsa! First on demand all these decades it is well known for its crystal clear and cold waters. It defines again the color turquoise! Hire a small private boat from Paleokastritsa to find your own small refuge across the coastline and away from other tourists. Issos, the golden beach. Maybe, some of the most amazing areas in the island are surrounding Issos, a golden beach in the south. 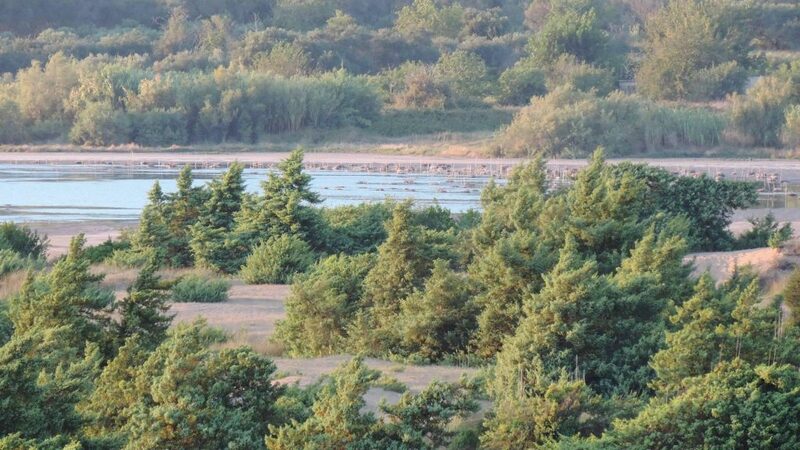 The “lake of Korission” which lies right next to Issos is an important-protected wetland and a natural shelter for many wild birds. Right between Issos and the lake you can find a beautiful cedar forest also called “spider-forest” by the locals because it provides shelter for countless spiders, though harmless to the man. Beautiful and booming with people, Glyfada. 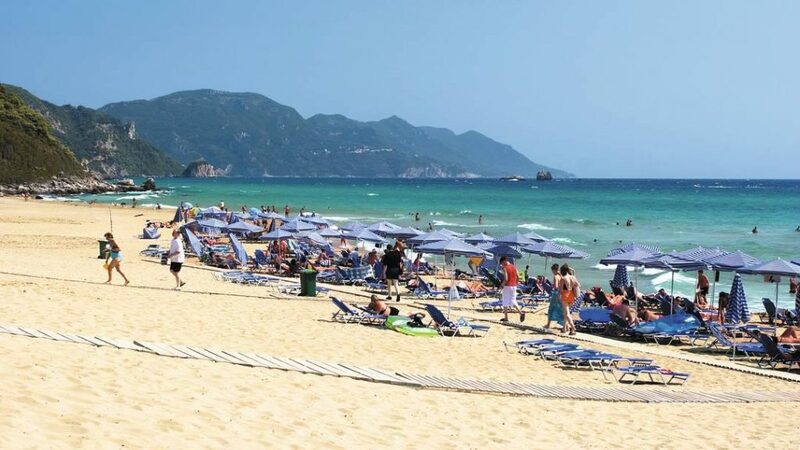 Glyfada is the most popular beach in Corfu. With its golden sand and calm waters just 16 kms from the city center it makes an ideal spot for your everyday visit to the sea. It is highly recommended for young people as it is booming with bars and cafeterias next to the sea. Lawrence Durrel, the famous English author, used to opt for Hotel KONSTANTINOUPOLIS during his visits in Corfu. Some of his works were connected with the beautiful Greek Island.